Just some personal thoughts and musings on culture, and history. 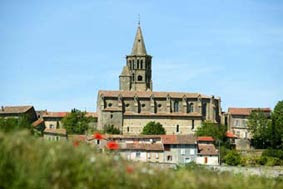 This Cathar council is believed to have been held in the town of St.-Felix-de-Caraman now called St.-Felix-Lauragais in c.1167 C.E. 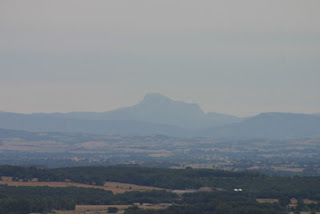 In order to settle issues of regarding the proper sanctity of Cathar Hierarchy and to settle issues arising from possible boundary disputes between different Cathar communities. Our sole source for the details or even the fact of such a council is from Guillaume Besse, who in a book he published printed a document, in Latin, supposed to be a précis and summary of what happened and what was decided at said council.1 The authenticity of the document has been disputed ever since, especially since the alleged original that Besse allegedly copied has never been found since. The fact that Besse forged a number of documents in his book hasn’t helped. In the month of May in the year of the Lord's incarnation 1167:4 at that the Church of Toulouse brought papa Niquinta5 to the castle of and a great multitude of the men and women of the Church of Toulouse and of the other neighbouring Churches gathered there to receive the consolamentum6 which the lord papa7 Niquinta began to administer. Afterwards Robert of Spernone, Bishop of the Church of the French,8 came with his council; and also Mark of Lombardy came with his council; and Sicard Cellarier, Bishop of the Church of Albi, came with, his council, and Bernard the Catalan came with the council of the church of Carcassonne; and the council of the Church of Agen was also present. And since they were all gathered there in such numbers, the men of the Church of Toulouse wished to have a bishop, and chose Bernard Raymond; and likewise Bernard the Catalan and the Church of Carcassonne, being requested and required to do so by the Church of Toulouse, and on the advice and with the agreement and permission of the lord Sicard Cellarier, chose Gerald Mercier; and the men of Agen chose Raymond de Casals. After that Robert d' Espernone received the consolamentum and was consecrated bishop by the lord papa Niquinta, so that he might be Bishop of the Church of the French; likewise Sicard Cellarier received the consolamentum and was consecrated bishop, so that he might be Bishop of the Church of Albi. In the same way Mark received the consolamentum and was consecrated bishop, so that he might be Bishop of the Church of Lombardy; likewise Bernard Raymond received the consolamentum and was consecrated bishop, so that he might be bishop of the Church of Toulouse; and likewise Gerald Mercier received the consolamentum and was consecrated bishop, so that he might be Bishop of the Church of Carcassonne; likewise Raymond de Casals received the consolamentum and was consecrated bishop, so that he might be Bishop of the Church of Agen. The charter or the official report of conciliation and demarcation follows. The Church of Toulouse chooses Bernard Raimond, Guillaume Garsias, Ermengaud de Forest, Raimond de Baimiac, Guilabert de Bonvilar, Bernard Guilhem Contor, Bernard Guilhem Bonnerville and Bertrand d'Avignont, to define its territory. 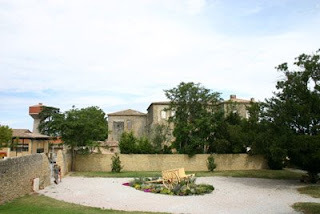 The Church of Carcassonne chooses Guiraud Mercier, Bernard Cathala, Gregoire, Pierre Caldermas, Raimond Pons, Bertrand de Mouly, Martin de la Salle et Raimond Guibert, as divisors of the church of Carcassonne. So being joined together in council and having deliberated, they said that Church of Toulouse and Church of Carcassonne would be divided up according to the [Catholic] bishoprics. 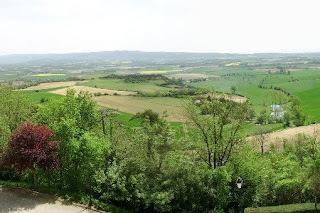 So that the bishopric of Toulouse and archbishopric of Narbonne are separated in two places, with the bishopric of Carcassonne at St. Pons were the mountain, comes between the castle of Cabaret and that of Hautpoul, to the boundary between the castles of Sissac and of Verdun, passes between Montreal and Fanjeaux the boundary between the other Bishoprics, similarly, at the boundary of Razes just as far as Lerida: that is the territory that is in the care and administration of the church of Toulouse.The church of Carcassonne as herein created has in its capacity and administration all the Bishopric of Carcassonne and Archbishopric of Narbonne and the remainder of the territories boundaries are right to the sea as far as Lerida. So That these churches are given boundaries as been said above, so that they will have peace and concord between them and none will do anything against the rights of the other. Those listed here are witnesses and guarantors of this: Bernard Raimond, Guillaume Garcias, Ermengaud Forest, Raimond de Baimiac, Guilabert de Bonvilar, Bernard Guihem Contor, Bernard Guilhem Bonneville and Bertrand d'Avignont. For the Church of Carcassonne: Guiraud Mercier, Bernard Cathala, Gregoire, Pierre Caldemas, Raimond Pons, Bertrand de Mouly, Martin de la Salle and Raimond Guibert. All organized, accepted and said to Ermengaud de Forest to write and put into effect for the Church Toulouse similarly it is organized, accepted and said to Pierre Bernard to write and put into effect for the Church of Carcassonne and thus it was made and carried out. Monseigneur Pierre Isarn made this copy of an old charter having the power to set boundaries of the various Churches that he wrote in a better hand the Monday the 14th of August in the year [1167?]. In the end the Cathars were crushed and only a scattering of documents like this one gives us much insight into their world. 1. Besse, Guillaume, Histoire des ducs, marquis et comtes de Narbonne, Paris, 1660, pp, 483-486. 2. See Lambert, Malcolm, The Cathars, Blackwell Pub. Ltd., Oxford, 1998, pp. 45-59, & “The Cathar Council of S. Felix Reconsidered”, Archivum Fratrum Praedicatorum, v. 48, 1978, pp. 23-53, Roquebert, Michel, Histoire des cathares, Perrin, Paris, 1999, pp. 56-64, Moore, R. I., The Origins of European Dissent, 2d edition, University of Toronto Press, Toronto, 1985, pp. 212-217, Barber, Malcolm, The Cathars, Longman, Toronto, 2000, pp. 71-73. 3. see O’Shea, Stephen, The Perfect Heresy, Douglas and McIntyre, Vancouver, 2000, p. 272. 4. The date has been disputed on the grounds that it’s in error and the Council took place in the 1170’s. See also Moore above. 5. Niquinta or Nicetas seems to have been head of the Dualist, Dragometia, Church in Constantinople. 6. The ceremony of laying on of hands that consecrated someone into the Cathar or Dualist hierarchy by a sort of pasting down of sanctity. 7. “Papa” in the eastern Greek Orthodox faith simply means “Priest”; it does not have in any sense here the connotation of “Pope”. 8. Virtually nothing is known of this Church although there was some inquisitorial action against it in the late 12th and early 13th century. 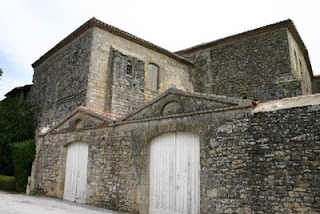 It seems to never have acquired the prominence of the Cathar Church in the South of France. See Lambert, pp. 122-125. 9. A Reference to St. Paul’s letters and the Book of Revelations that talk about 7 Churches in Asia Minor. 10. The Churches mentioned here apparently are all Dualist. The Church of Rome may be some sort of miscopying of the name of an Italian Dualist Church. Bulgaria, Dalmatia and Melenguia are Dualist Churches who seemed to have practiced a mitigated Dualism. Dragometia apparently practiced a radical Dualism and was the Church Niquinta was representing. Mitigated Dualism argued that God created the world and the conflict between light and dark had only existed since the fall. Radical Dualism believed that two forces / principles had existed from the beginning and would exist for eternity. 11. This part of the document to "The charter or the official report of conciliation and demarcation follows”, is from Hamilton, Janet & Hamilton, Bernard, Christian Dualist Heresies, in the Byzantine World, Manchester University Press, Manchester, 1998, pp. 251-252. Unfortunately it doesn't contain the last half of the document. A full translation of the whole text into English is in Peters, Edward, Heresy and Authority in Medieval Europe, University of Pennsylvania Press, New York, 1980, pp. 121-123. 12. This gloss is from a later time, 1232 / 33, when apparently the document was recopied. Pierre Poullain was the Cathar Bishop of Carcassonne. 13. This part is a translation from the French by Pierre Cloutier. The French text translated is from Duvernoy, Jean, L'Histoire des Cathares, Privat, Toulouse, 1979, pp. 217-218. For the full text in English see Peters, above in Footnote 11. 14. Lambert, pp. 45-59, 158-170, Runciman, Steven, The Medieval Manichee, The Viking Press, New York, 1961, pp. 72-77, 122-127, O'Shea, pp. 17-31, Moore, pp. 197-240, Barber, pp. 81-104, Oldenbourg, Zoe, Massacre at Montsegur, Phoenix Press, London, 1961, pp. 32-44, Moore, R.I., The Birth of Popular Heresy, University of Toronto Press, Toronto. 1995, pp. 122-127, 132-154, Wakefield, Walter L., Evans, Austin P., Heresies of the Middle Ages, Columbia University Press, New York, 1969, Item 23, pp. 160-167.